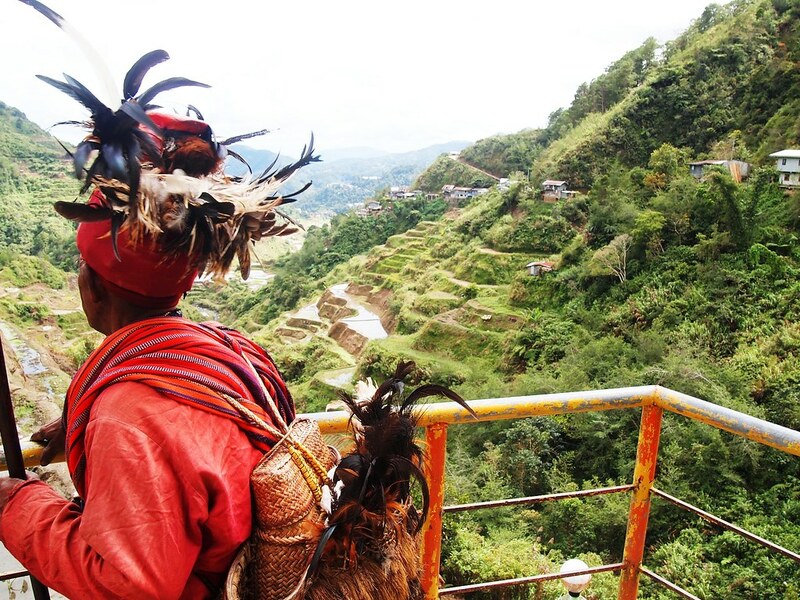 When I was a kid one of the first thing I learned from school about why I should be proud of being a Filipino is Banaue Rice Terraces. 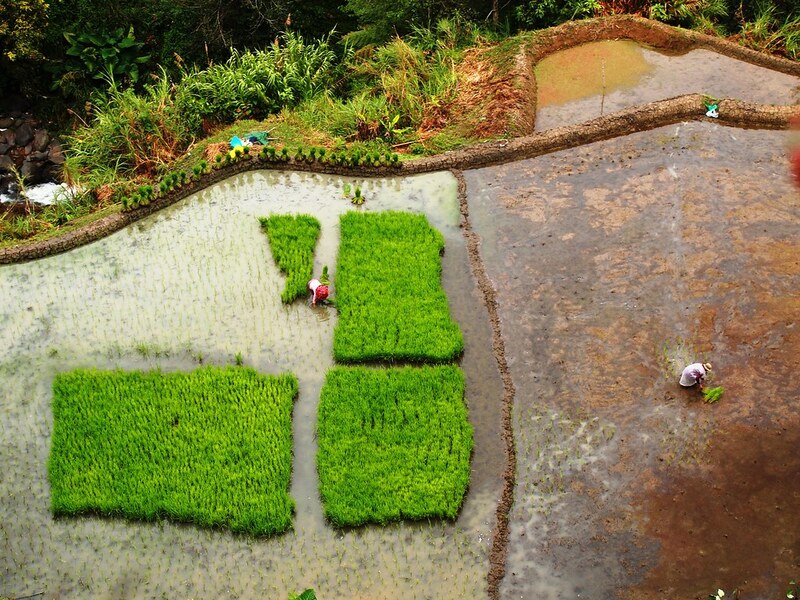 I love pronouncing the Tagalog name of “Hagdan-Hagdang Palayan” and was amused on how the image on our textbook exactly describe its name- a staircase of rice paddies. Above all as a kid it embedded on me the value of hard work and ingenuity. 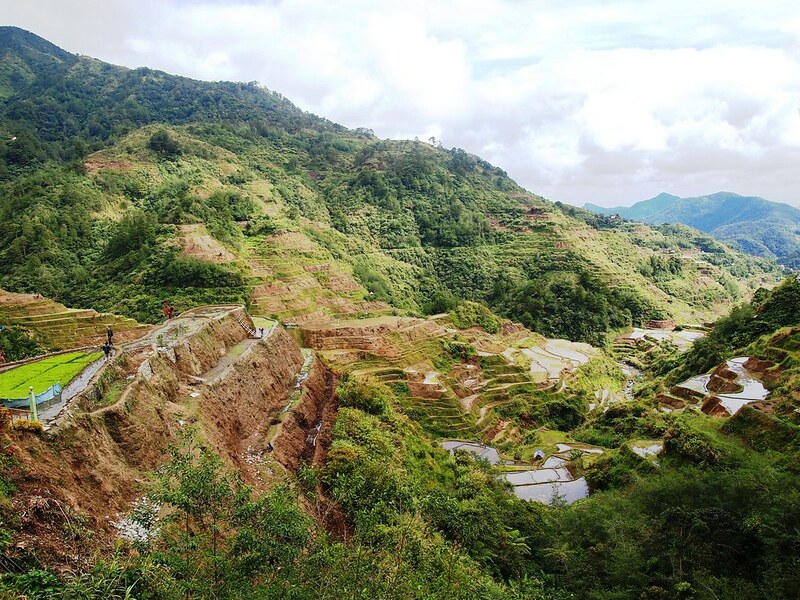 How our ancestral Ifugao brothers and sisters carved the now more than 2000 year old terraces relying on their gifted hands and with none to very minimal equipment used. 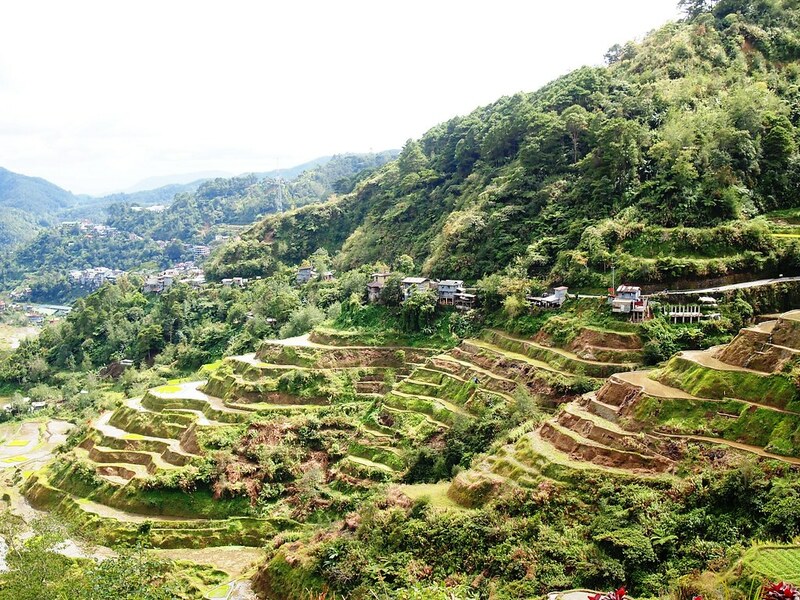 I never had a chance to visit Banaue Rice Terraces until recently. Even though the once magnificent vast terraces which believe if the steps were put end to end can encircle half the globe is no longer on its glorious most state, there is a certain charm that remain, something that should be appreciated still. 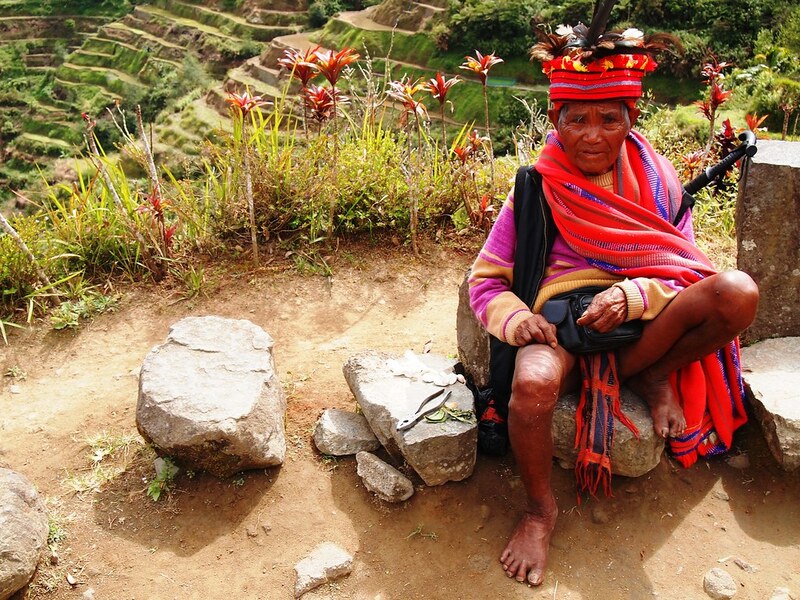 Apart from the remaining beautiful landscape, the best way to appreciate Banaue Rice Terraces is to sit down and chat with the Ifugao elder dressed on traditional clothes. 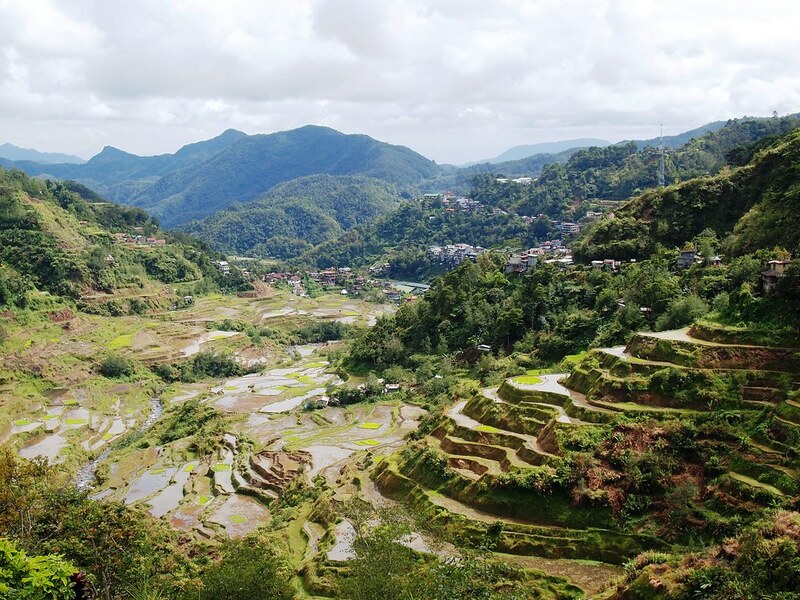 I love hearing their stories of Banaue Rice Terraces particularly on how it look like back when they were kids and how much has change since then. 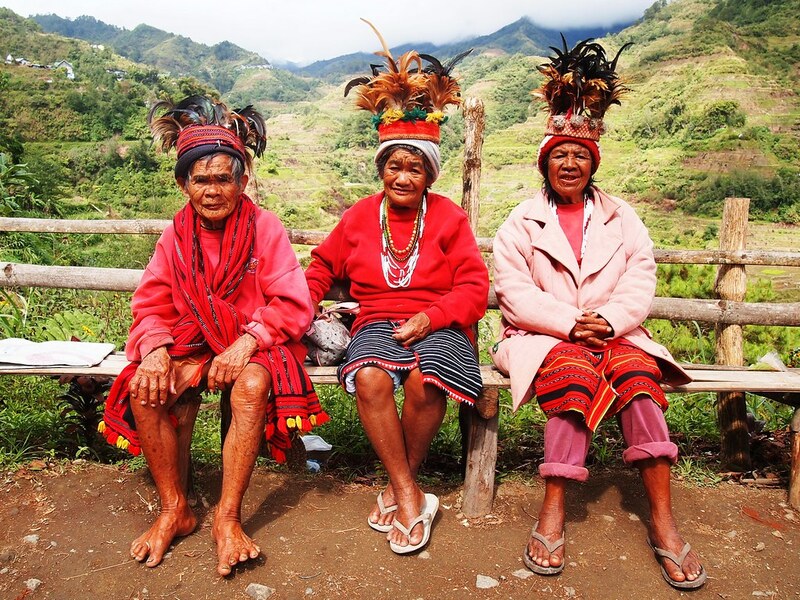 I love hearing stories of their encounter with tourists from various countries, usually the group of people they patiently wait each day, expecting a small donation in return for a souvenir photo with them. 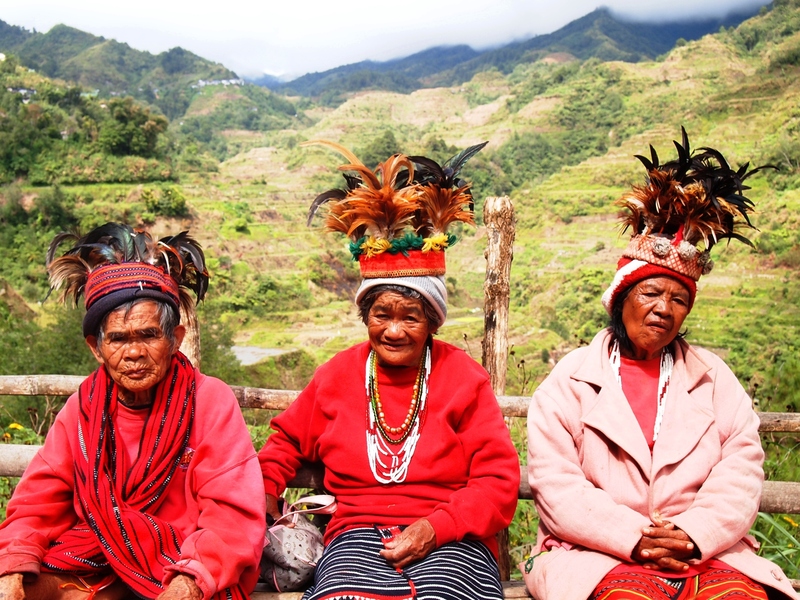 The Ifugao is one of the most unique ethnic group of the Mountain Province region. 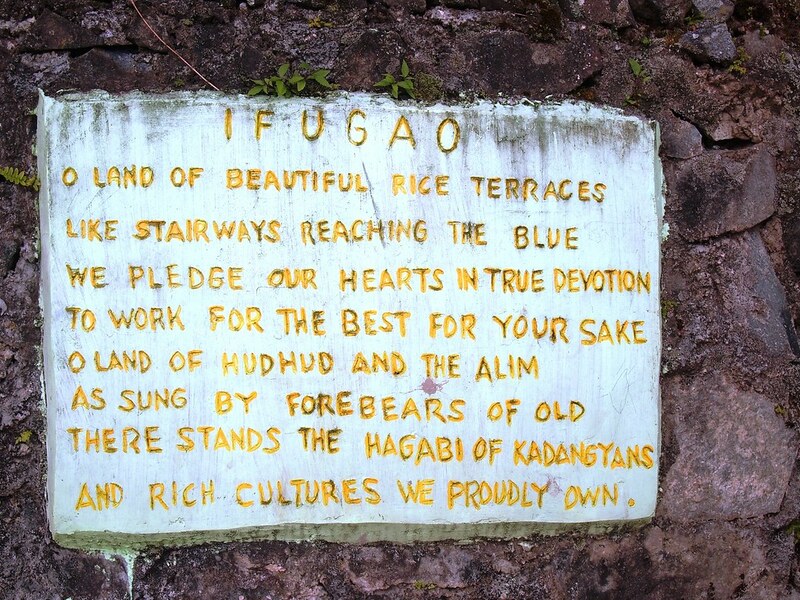 With their name derived from the word “ipugo” which translates to “from the hill”, their customs, traditions and religious beliefs were untouched by colonialism. 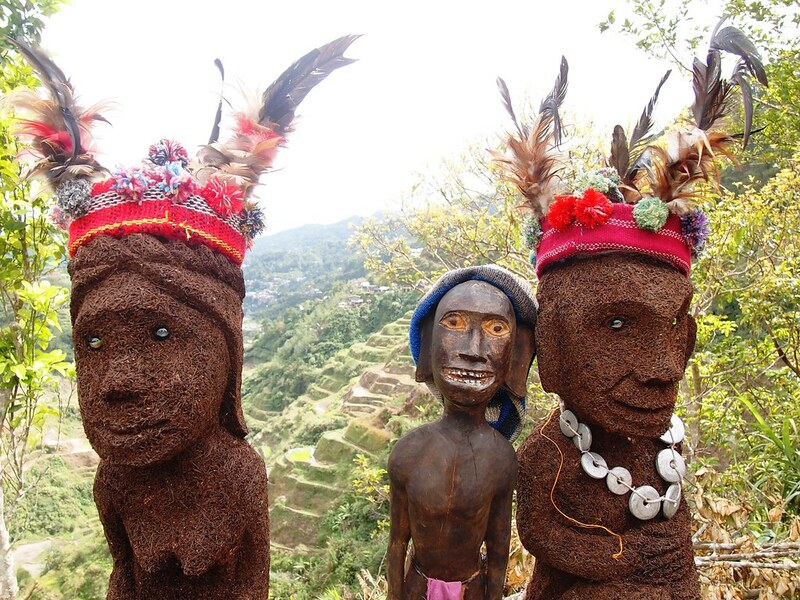 Apart from the rice terraces, they take pride on their literature, woodcarvings of their spiritual deities, colorful woven textiles and traditional clothing where the men wear g-string called “wanno” and the woman wear skirt or “tapis”. 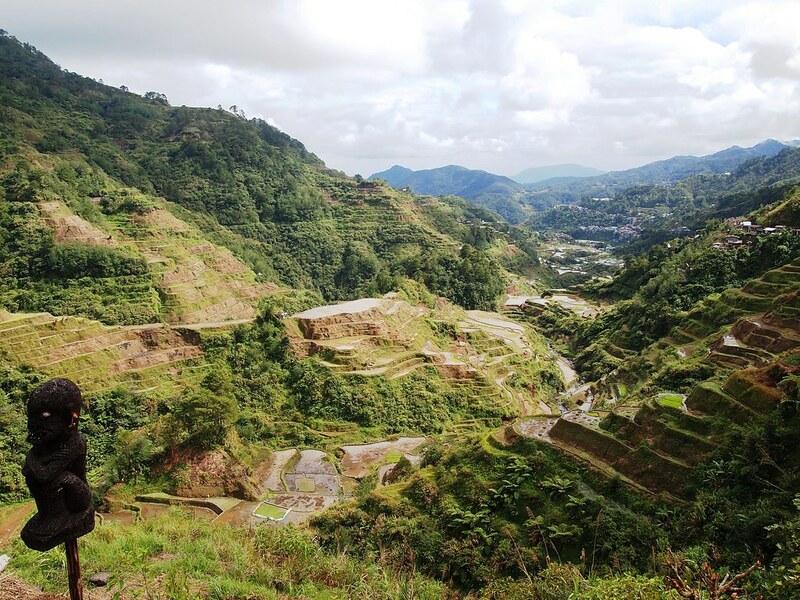 Partly damaged by drought, failed irrigation system and soon to be further damage by modern changes on the over-all landscape of the town of Banaue , it is fair to say that the UNESCO Heritage Banaue Rice Terraces has lost a huge chunk of its charm which in a way is a personal heartbreaking sight. 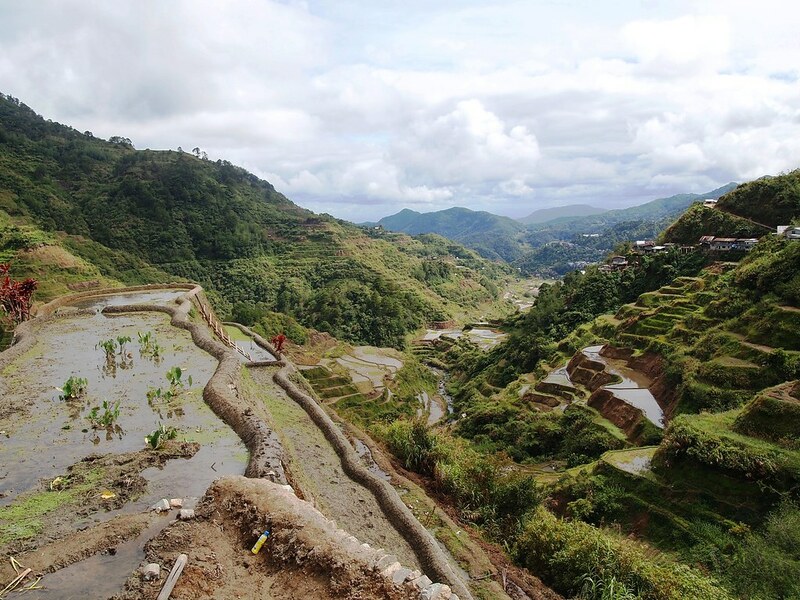 It is my deepest hope that preservation effort lead by the national government shall commence immediately to save both the rice terraces and the rich Ifugao culture. 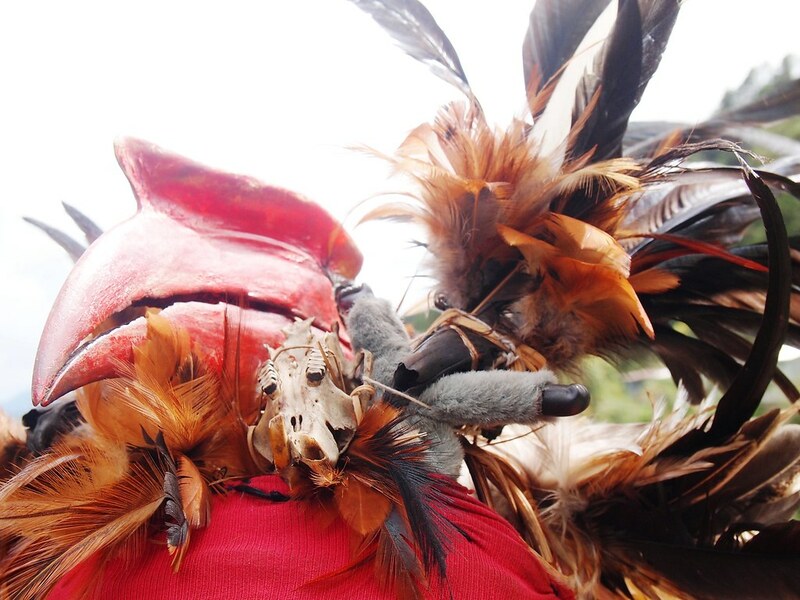 Fascinating nature and culture,the outfits are so unique.The pictures are outstanding. 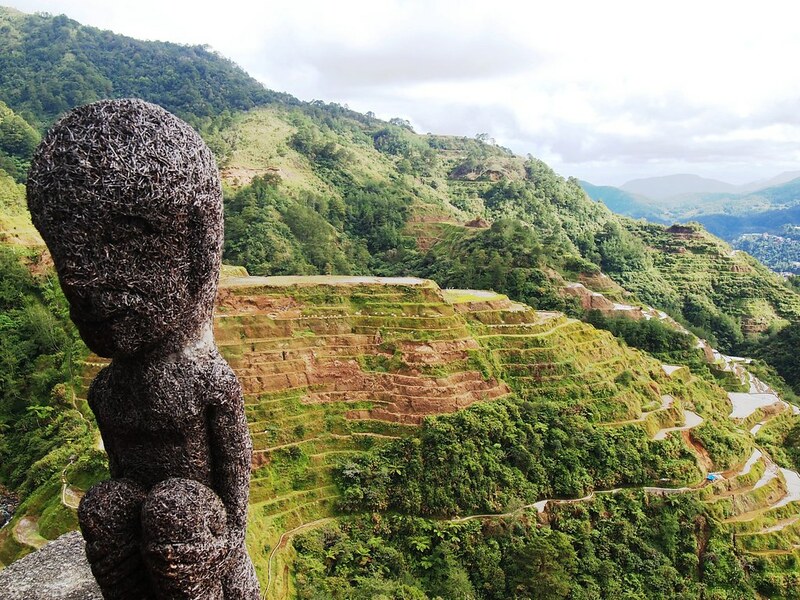 This reminded me of our trip to Banaue and the rice terraces in the early 2000. 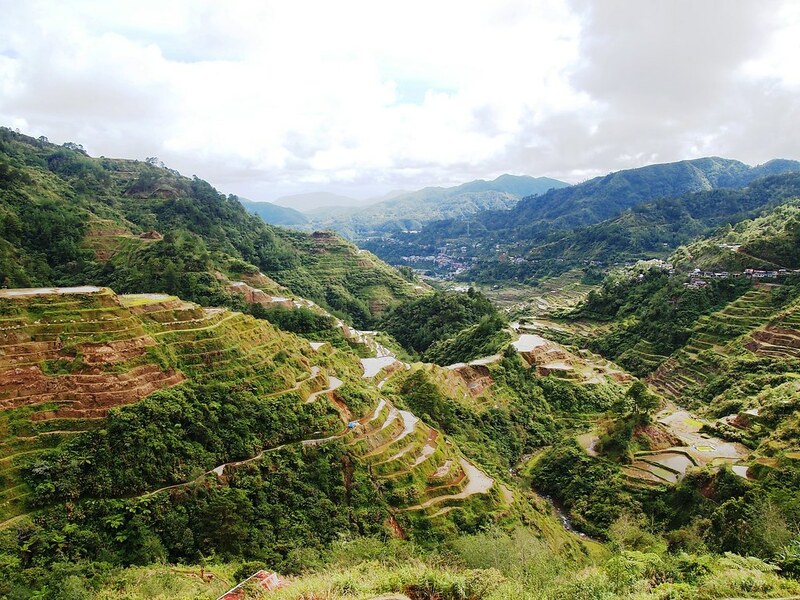 The long drive from Baguio City to Banaue was quite memorable. It was fantastic. 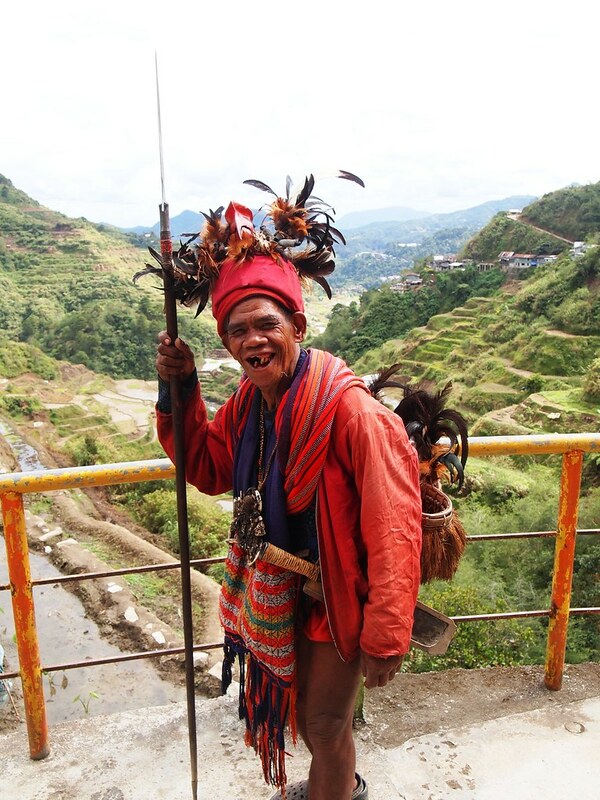 http://travel2ph.com We hiked down, way down, to where the village and the Ifugaos live. 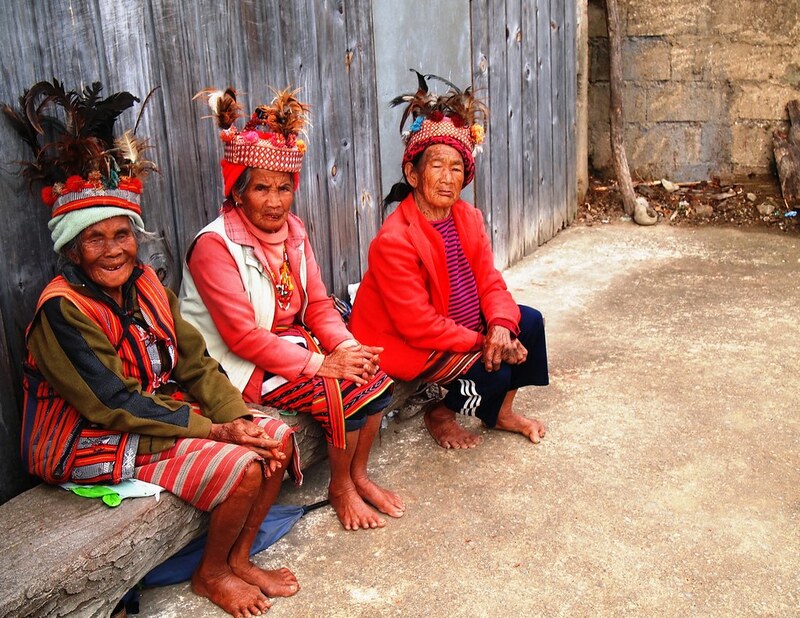 We were allowed to go inside one of the resident huts. My husband was quite in awe never having seen anything like it. Hiking back up was another story for me. I thought I wasn’t going to make it. I got very hot and it was very humid. Back then, my husband was running 5 miles a day, rain or shine, so he had no problem with the hike back. So, thank you for sharing your adventure. It brought back wonderful memories for me. Beautifully done! 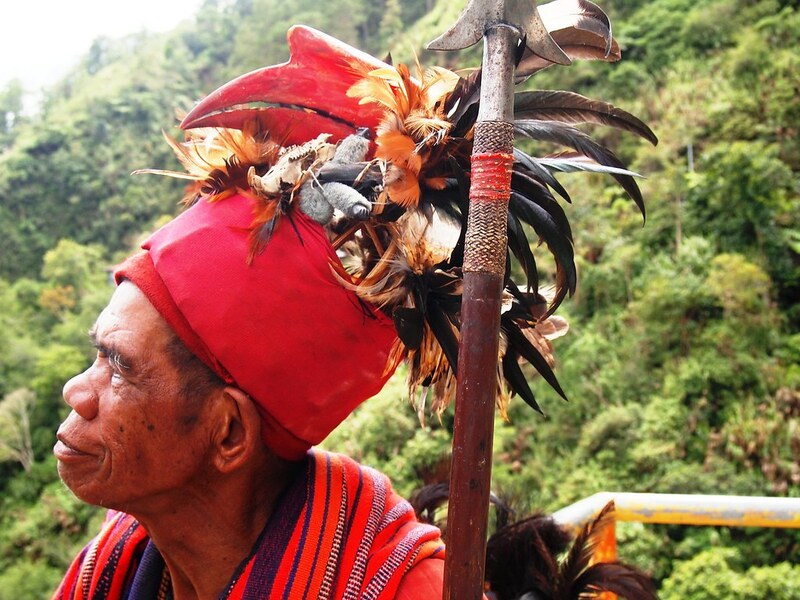 Do the people wear the traditional dress every day? I hope so! 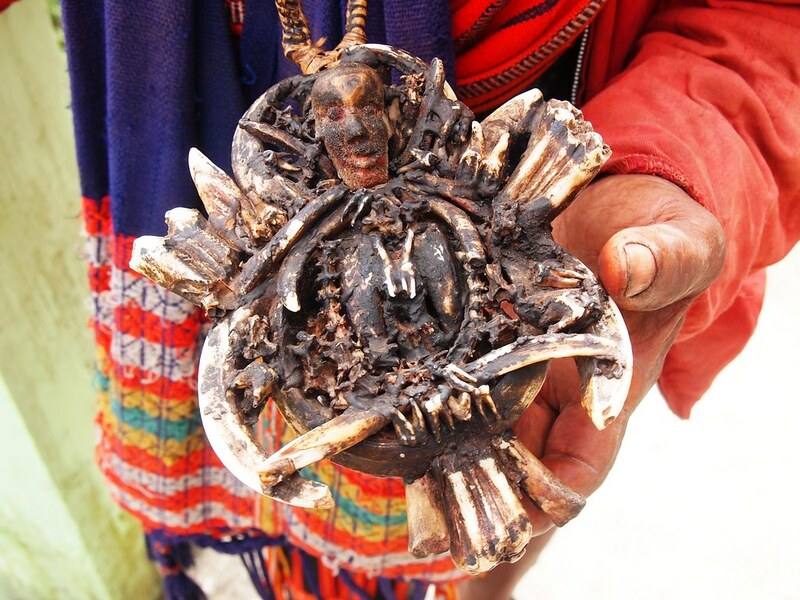 Its nice to see a culture remain in spite of all the western influence.